Daily Kos and Public Policy Polling have hinted on Twitter that they have a new Wisconsin poll coming, which I am glad of because I’ve long wanted to see a second opinion in that state, but I’d like to start the week by hitting a pair of polls I missed while I was in Austin over the weekend: Rasmussen Reports on the Wisconsin Senate race and then and then on the race for Governor. 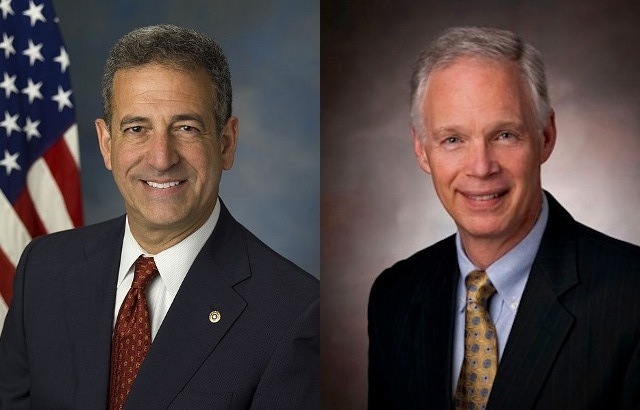 For a while Rasmussen had been putting out Senate polls showing Republican Ron Johnson with a tiny, barely visible lead over Democrat Russ Feingold. But the new poll changes that, and Johnson has taken a bigger lead: 51-44 (MoE 4). As before with recent, large changes in Rasmussen, the difference is that leaners are now included. As with Patty Murray in Washington and Richard Burr in North Carolina, it is Ron Johnson that shows up with the wave of weak support. If he wants to win and knock off the incumbent, Johnson will probably have to find a way to strengthen that support. The same holds for Republican Scott Walker over Democrat Tom Barrett in the Governor’s race. Walker’s lead was three points without leaners, but is now up with leaners to 51-43 (MoE 4). So all that goes for Johnson also goes for Walker. The easy explanation is that Wisconsin swing voters just aren’t quite ready to pull the trigger and vote for a pair of Republicans right now. Wisconsin hasn’t elected a Republican Governor since Tommy Thompson in 1998, and not a Republican Senator since Robert Kasten in 1986.